A simple method of concrete mix design for pumpable concrete based on an estimated weight of the concrete per unit volume is described in the paper. The tables and figures presented are worked out by the author from a wide range of Indian materials. The method is suitable for normal weight concrete with admixture. c) and squeeze pressure type concrete pump. Other accessories are rigid pipe lines, flexible hose and couplings etc. A pumpable concrete, like conventional concrete mixes, requires good quality control, i.e., properly graded uniform aggregates, materials uniformly and consistently batched and mixed thoroughly. Depending on the equipment, pumping rates will vary from 8 to 70 m3 of concrete per hour. Effective pumping range will vary from 400 to 1900 meters horizontally, or 100 to 600 meters vertically. Cases have been documented in which concrete has been successfully pumped horizontally 2432 meters and beyond 600 meters vertically upward. For the successful pumping of a concrete through a pipeline it is essential that the pressure in the pipeline is transmitted through the concrete via the water in the mix and not via the aggregate, in effect, this ensures the pipeline is lubricated. If pressure is applied via the aggregate it is highly likely that the aggregate particles will compact together and against the inside of the pipe to form a blockage; the force required to move concrete under these conditions is several hundred times that required for a lubricated mix. If, however, pressure is to be applied via the water, then it is important that the water is not blown through the solid constituents of the mix; experience shows that water is relatively easily pushed through particles larger than about 600 microns in diameter and is substantially held by particles smaller than this. In the same way, the mixture of cement, water and very fine aggregate particles should not be blown through the voids in the coarse aggregate. This can be achieved by ensuring that the aggregate grading does not have a complete absence of material in two consecutive sieve sizes – for example, between 10 mm and 2.36 mm. In effect any size of particle must act as a filter to prevent excessive movement of the next smaller size of material. Concrete without admixtures and of high cement content, over about 460 kg/m3 are liable to prove difficult to pump, because of high friction between the concrete and the pipeline. Cement contents below 270 to 320 kg/m3 depending upon the proportion of the aggregate may also prove difficult to pump because of segregation within the pipe line. The workability of pumped concrete in general have a average slump of between 50 mm and 100 mm. A concrete of less than 50 mm slumps are impractical for pumping, and slump above 125 mm should be avoided. In mixtures with high slump, the aggregate will segregate from the mortar and paste and may cause blocking in the pump lines. The mixing water requirements vary from different maximum sizes and type of aggregates. The approximate quantity of water for a slump of 50 mm and 100 mm is given in table 4. 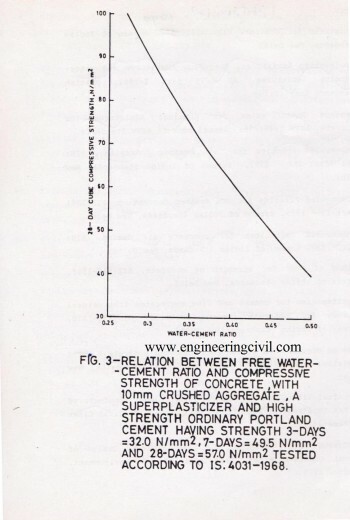 In high strength concrete due to lower water-cement ratio and high cement concrete workability is reduced with the given quantity of water per cu.m of concrete. In such case water reducing admixtures are useful. In the addition of this type of admixtures at normal dosage levels to obtain a higher workability for a given concrete mix, there is no necessity to make any alteration to the mix design from that produced for the concrete of the initial lower slump. There is generally no loss of cohesion or excess bleeding even when the hydroxycarboxylic acid materials are used. If this class of product is used to decrease the water cement ratio, again no change in mix design will be required, although small alterations in plastic and hardened density will be apparent and should be used in any yield calculations. A loss of slump during pumping is normal and should be taken into consideration when proportioning the concrete mixes. A slump loss of 25 mm per 300 meters of conduit length is not unusual, the amount depending upon ambient temperature, length of line, pressure used to move the concrete, moisture content of aggregate at the time of mixing, truck-haulage distance, whether mix is kept agitated during haulage etc. The loss is greater for hose than for pipe, and is sometimes as high as 20 mm per 30 meter. The maximum size of crushed aggregate is limited to one-third of the smallest inside diameter of the hose or pipe based on simple geometry of cubical shape aggregates. For uncrushed (rounded) aggregates, the maximum size should be limited to 40 percent of the pipe or hose diameter. The shape of the coarse aggregate, whether crushed or uncrushed has an influence on the mix proportions, although both shapes can be pumped satisfactorily. The crushed pieces have a larger surface area per unit volume as compared to uncrushed pieces and thus require relatively more mortar to coat the surface. Coarse aggregate of a very bad particles shape should be avoided. Difficulties with pump mixed have often been experienced when too large a proportion of coarse aggregate is used in an attempt to achieve economy by reducing the amount of cement such mixes are also more difficult and costly to finish. The grading of coarse aggregate should be as per IS: 383-1970. If they are nominal single sized then 10 mm and 20 mm shall be combine in the ratio of 1:2 to get a graded coarse aggregate. In the same way 10 mm, 20 mm and 40 mm aggregates shall be combine in the ratio of 1:1.5:3 to get a graded coarse aggregate. Fine aggregate of grading as given in Table 2, is best for pumped concrete. The proportion of fine aggregate (sand) to be taken in the mix design is given in Table 8. However, the lowest practical sand content should be established by actual trial mixes and performance runs. In practice it is difficult to get fine and coarse aggregates of a particular grading. In absence of fine aggregate of required grading they should be blended with selected sands to produce desired grading, and then combine with coarse aggregates to get a typed grading as per Table 3. Before the pumping of concrete is started, the conduit should be primed by pumping a batch of mortar through the line to lubricate it. A rule of thumb is to pump 25 litres of mortar for each 15 meter length of 100 mm diameter hose, using smaller amounts for smaller sizes of hose or pipe. Dump concrete into the pump-loading chamber, pump at slow speed until concrete comes out at the end of the discharge hose, and then speed up to normal pumping speed. Once pumping has started, it should not be interrupted (if at all possible) as concrete standing idle in the line is liable to cause a plug. Of great importance is to always ensure some concrete in the pump receiving hopper at all times during operation, which makes necessary the careful dispatching and spacing of ready-mix truck. There is no recognized laboratory apparatus or precise piece of equipment available to test the pumpability of a mix in the laboratory. The pumpability of the mix therefore be checked at site under field conditions. The pump should be as near the placing area as practicable and the entire surrounding area must have adequate bearing strength to support the concrete delivery trucks, thus assuring a continuous supply of concrete. Lines from the pump to the placing area should be laid out with a minimum of bends. For large placing areas, alternate lines should be installed for rapid connection when required. When pumping downward 15 m or more it is desirable to provide an air release valve at the middle of the top bend to prevent vacuum or air buildup. When pumping upward it is desirable to have a valve near the pump to prevent the reverse flow of concrete during the fitting of clean up equipment, or when working on the pump. 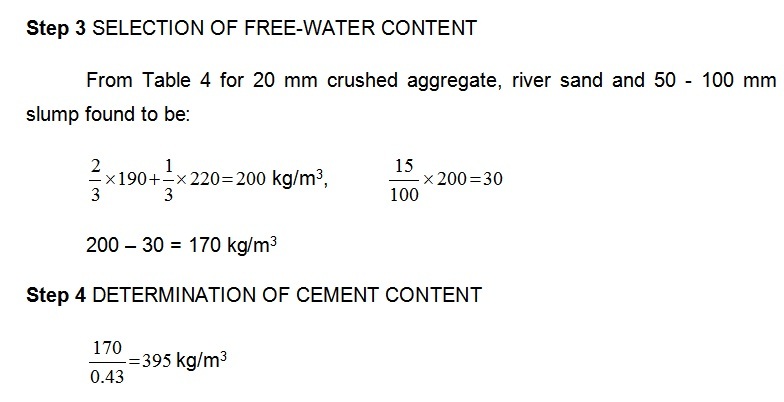 b) Type and size of coarse aggregate = 20-10 mm and 10-5 mm crushed aggregates as per grading given in Table 1.
c) Fine aggregate = River sand of Zone II as per IS: 383-1970.The sand grading is given in Table 1.
d) Degree of workability = 50 – 100 mm slump at pour after 90 Minutes. 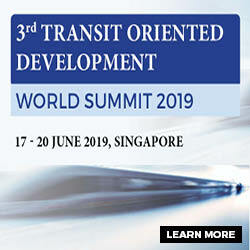 Note: For informations at e.f,g and h refer IS: 456-2000 or follow specifications of the tender documents/Department specifications. give 15% reduction in water. 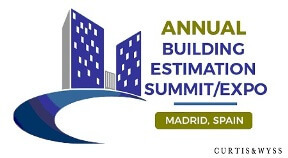 From Table 8 proportion of fine aggregate (percent) found to be 38 – 47 for trial mix say 43%. The coarse aggregates are in two fractions 10 – 5 mm and 20 – 10 mm. Let these single sized coarse aggregates be combine in the ratio of 1:2 to get a graded coarse aggregate as per IS: 383-1970. The obtained grading of combined aggregates is given in Table 1. 1. Pumped concrete may be used for most all concrete construction, but is especially useful where space or access for construction equipment is limited. 2. Although the ingredients of mixes placed by pump are the same as those placed by other methods, depending quality control, batching, mixing, equipment and the services of personnel with knowledge and experience are essential for successfully pumped concrete. 3. The properties of the fine normal weight aggregates (sand) play a more prominent role in the proportioning of pumpable mixes than do those of the coarse aggregates. Sands having a fineness modulus between 2.4 and 3.0 are generally satisfactory provided that the percentage passing the 300 and 150 micron sieves meet the previously stated requirements. Zone II sand as per IS: 383-1970 meet these requirements, and is suitable for pumped concrete. 4. Pumped concrete should not require any compromise in quality. To be pumpable, a high level of quality control for assurance of uniformity must be maintained. 5. 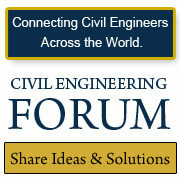 A simple method of concrete mix design will normal weight aggregates for pumped concrete is described in the paper. The author had worked out tables and figures from Indian materials by numerous trials. Therefore the proportions worked out with the help of these tables and figures will have quite near approach to the mix design problems of the field. Table 1 Grading of aggregates. Table 3 Recommended combine aggregate gradation for pumped concrete. Table 4 Approximate free-water contents (kg/m3) required to give a workability of 50 mm – 100 mm slump for non-air entrained concrete. 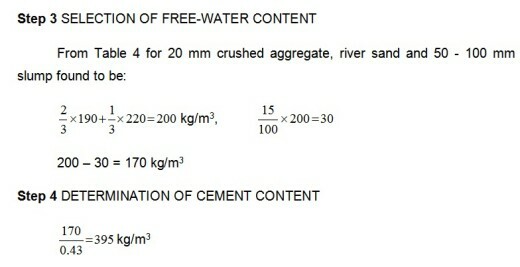 where Wf = free-water content appropriate to type of fine aggregate. and Wc = free-water content appropriate to type of coarse aggregate. Table 5 Estimated wet density of fully compacted concrete, (kg/m3). The table is worked out for concrete having cement content of 330 kg/m3. For each 20 kg difference in cement content from 330 kg correct the weight per m3 3 kg in the same direction. Table 6 Estimated wet density of fully compacted concrete, (kg/m3). Table 7 Estimated wet density of fully compacted concrete, (kg/m3). 50 – 100 mm slump. 1. 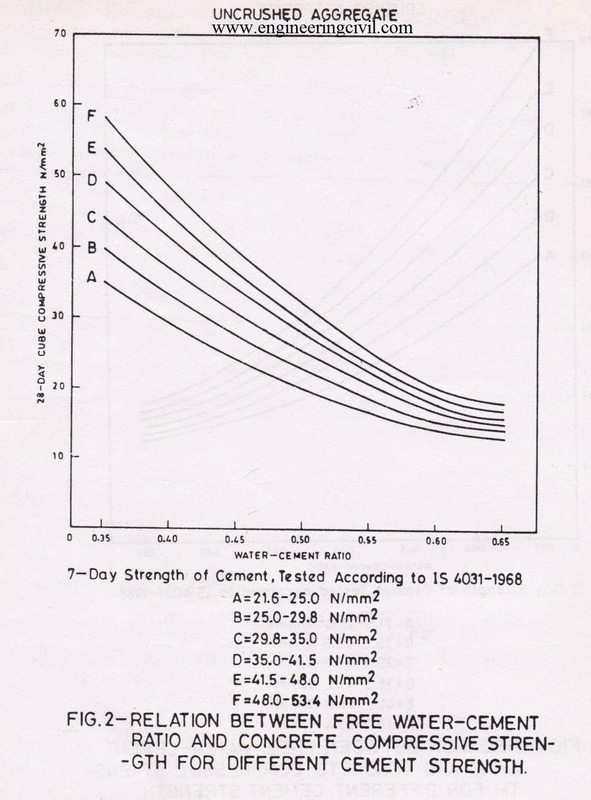 Admixtures for Concrete (first revision) BIS: 9103 – 1999, Bureau of Indian Standards, New Delhi. 2. 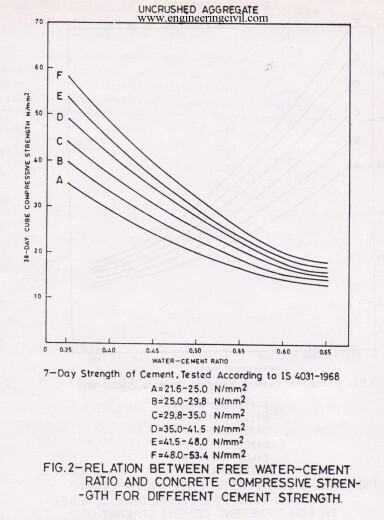 Method of test for strength of concrete, BIS: 516-1959, Bureau of Indian Standards, New Delhi. 3. 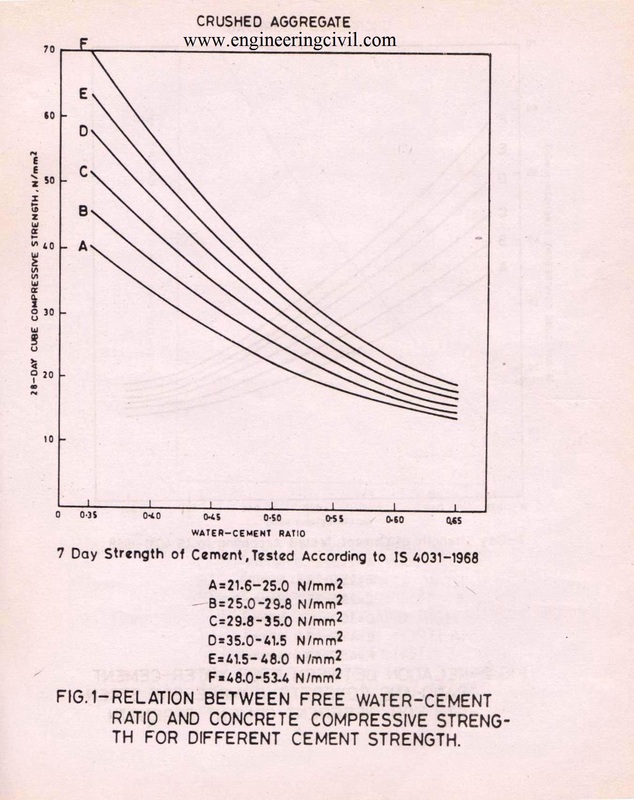 Specification for coarse and fine aggregates from natural sources for concrete (second revision) BIS: 383-1970, Bureau of Indian Standards, New Delhi. 4. Code of practice for plain and reinforced concrete (fourth revision) BIS: 456-2000 Bureau of Indian Standards, New Delhi. 5. THYCHENNE, D.C FRANKLIN, R.E. and ERNTROY, Design of normal concrete mixes, Department of the Environment, London, 1975. 6. KISHORE KAUSHAL, Concrete mix design ICI Bulletin September, 1988, pp. 27-40 and ICI Bulletin December, 1988, pp. 21-31. 7. KISHORE KAUSHAL, Concrete mix design containing chemical admixtures, CE and CR May, 1991 pp. 12-20. 8. KISHORE KAUSHAL, Concrete mix design for road bridges, Indian Highways, Vol. 19 No. 11, November 1991, pp. 31-37. 9. ACI 304. 2R-71, Placing concrete by pumping methods. 10. “Pumping Concrete”, Concrete Construction V. 13, No. 11, 1968 pp. 413 – 426. We are thankful to Er. 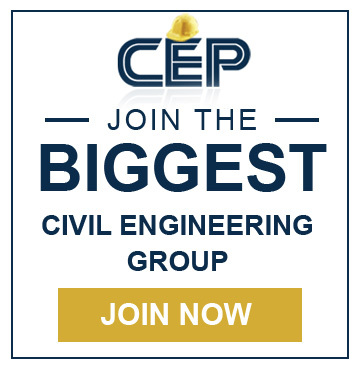 Kaushal Kishorefor submitting this very useful research to us so that other civil engineering students can take guidance from it.